Ireland is on my bucket list. I would truly love to visit Ireland. I would love to see the beauty and stand in the middle of all of the history. This amazing book has made that dream a little higher on my list. 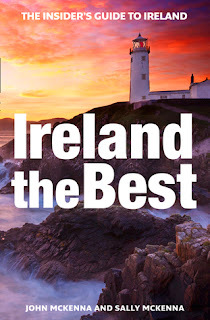 The book is a comprehensive guide to Ireland filled with recommendations for restaurants, hotels and places to visit, no matter what you budget their are recommendations for you. There are all of the the high points for travelers as well as a few not on most of the other travel guides. I do wish their had of been some pictures as well, the book was so well written and so full of information, that I could not take a star off for no pictures.